Life Music Laughter: Friday Fragments, The Topic No One Talks About. Friday Fragments, The Topic No One Talks About. I spent last weekend in the hospital being poked and probed every 2 hours. This weekend is sure to be better! Can we talk about colonoscopy for a minute?! I know uncomfortable topic, but I have to say, I always feared the discomfort of the procedure, but that's nothing, you're asleep for that. It's the day before when you have to drink a gallon, (literally, it's a gallon!) of nasty sea water tasting stuff to clean you out, and then you spend the night checking to see if everything coming out of you has cleared up, that is the horror of the procedure! Oh, and let me say, if you're a patient in the hospital, and you need a nurse, use the call button! Don't selfishly yell the nurse's name over and over like a damn broken record! There are other patients, you know! And, if you're a nurse of a patient that is waiting to produce something for culture, don't repeatedly ask the patient in your sweetest little baby voice if they've made "boom boom" yet. Seriously, you're a grown man, it's not cute! Okay, enough dirty talk. Have a great weekend, and be sure to get your frag on at Half-Past kissin' time. Boom boom? Seriously? That sounds taser worthy! Glad you are okay though! Hi! 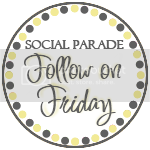 I'm your newest follower from the Friday Social Parade! Also, I wanted to tell you personally that I have a site that allows women to engage and really connect with each other. You won't find the same unpromising atmosphere that you normally do elsewhere. 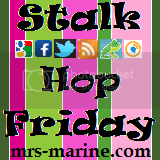 Our site allows you to gain INSTANT followers (yes, they really do follow, you'll see), INCREASE YOUR TRAFFIC, and have a chance to connect with some great women. The traffic we generate for our members is usually VERY good considering we're a fairly new site. In just 3 weeks after our relaunch, we've accumulated over 10,500 posts! Please come take a look and I guarantee you will be impressed with the results. On the bright side, I'm your newest follower! I too feared the colonoscopy, but not for the reasons you mention (which weren't bad at all). I just didn't want to be passing all that gas in the recovery room in front of my husband. Turns out, he couldn't make it there with me, so my friend took me. I requested she wait in the waiting room the ENTIRE time! Seriously, Lexi? Very poor form. Not cool. (Unless, of course, you paid for the ad in your comment.) Wow. Boom boom? Seriously--I would report that guy; that's weird. Monday is a Swag Code Extravaganza! Aloha Friday, Is He Cheating? Heineken, You've Got My Attention! Don't Get Ugly Step-Sister Face, Get Naturalizer!